Loving. Loyal. Adorable. Infectious? In a story that broke last week, the Centers for Disease Control and Prevention reported that puppies purchased from the national pet store chain, Petland, were at the epicenter of a multi-state outbreak of a human diarrheal illness caused by Campylobacter bacteria. Understandably so, this is causing serious concern for the well-being of the puppies housed at Petland, and for the health of Petland employees and potential pet owners. While rarely deadly, the Campylobacter outbreak has been serious enough to hospitalize nine people as of September 11, 2017. Campylobacter can be spread through contact with dog feces and normally cause uncomfortable but survivable infections in humans. Typical symptoms include fever, abdominal pain, cramping, nausea, vomiting, and bloody diarrhea lasting for up to a week. That’s no picnic, but for some patients with weak or compromised immune systems, the infection can spread to the blood and become life-threatening; about 76 Americans die of Campylobacter infections every year. While no one has died from the current outbreak yet, but the problem is disturbingly widespread. 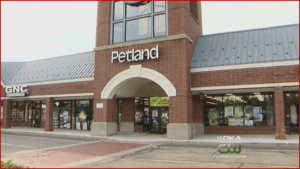 The latest CDC information indicates that the current outbreak has infected 39 people tied to the Petland pet store chain over the course of a year. Cases popped up in seven states, affecting 12 Petland employees, plus 27others who either purchased a Petland puppy, visited a store or visited a home with a Petland-purchased puppy. 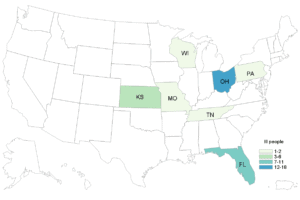 The CDC identified Petland’s puppies as the culprit by matching Campylobacter DNA in one Ohio victim to a sample taken from a Florida Petland puppy. 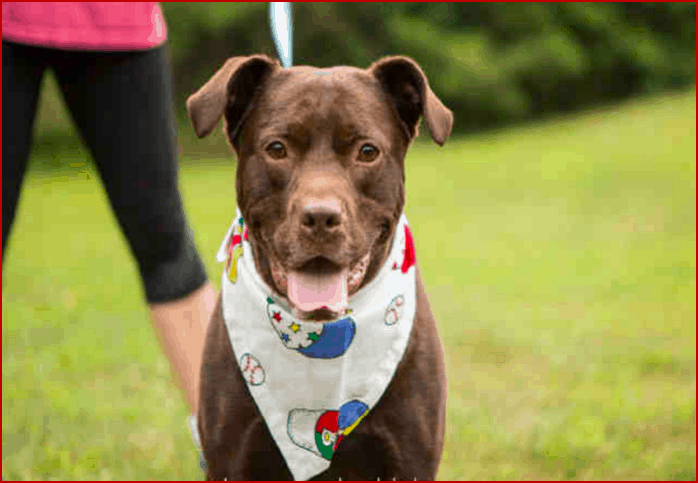 And as Petland’s navigates through this PR and public health nightmare, pet shoppers can reduce their infection risk with simple precautions. Animal health groups suggest that the conditions at commercial breeders make puppies vulnerable to infection; consider adopting puppies from non-profit animal rescues instead. Once you choose a puppy for your family, take your new dog to the vet for a check-up within the first few days following the adoption.